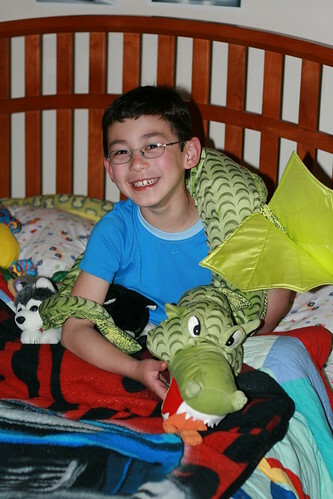 Since Adam was born in the Chinese year of the Dragon, he naturally has a lot of dragon paraphernalia. 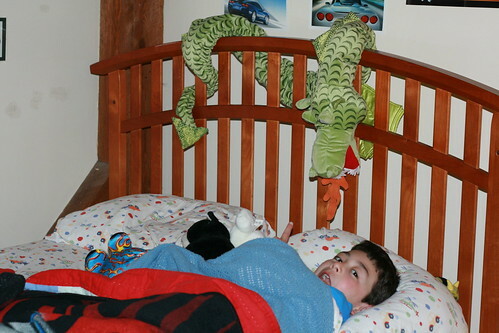 Here is his IKEA dragon who licks him as he sleeps. You can get a Minnen Drake from your local IKEA store. The Dragon is cute, but the Kiddo is cuter!! Lucky him to have so many Dragons... I love this one. There is no dragon at our Ikea here. I got my son a snake although his zodiac is sheep. :) He likes to curl the snake around himself. Adam is forever cheerful..the dragon is quite a size though.. I absolutely love that dragon! Very cool dragon. Even cooler son!